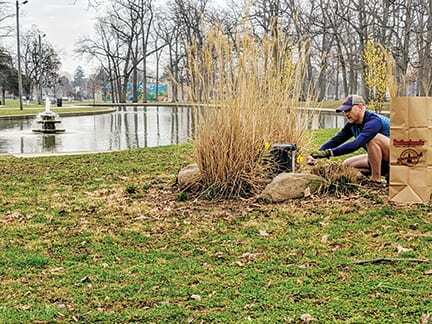 Westside resident Scot Holmes volunteers for the Team Up to Clean Up event held at Westgate Park on April 6. The cleanup was hosted by Friends of Westgate Park. 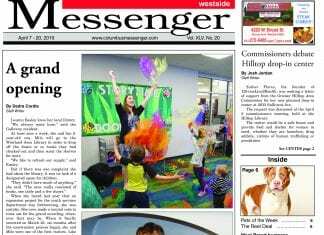 Holmes said helping in the community should be embraced by more residents. 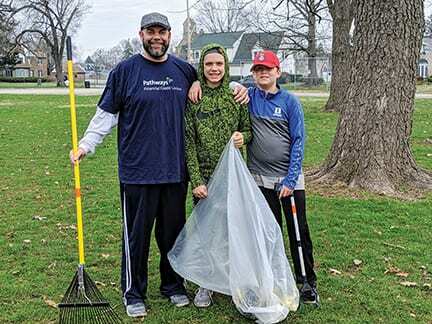 Here, Chad Fields with sons Tanner and Tyler Fields participated in the cleanup as part of a group from Pathways Financial Credit Union on Georgesville Road.